'Inca Offering' ( Anthony and Dorothy Willott, R. 1980). Seedling #78-127. MDB, 6" (15 cm). Midseason to late bloom. 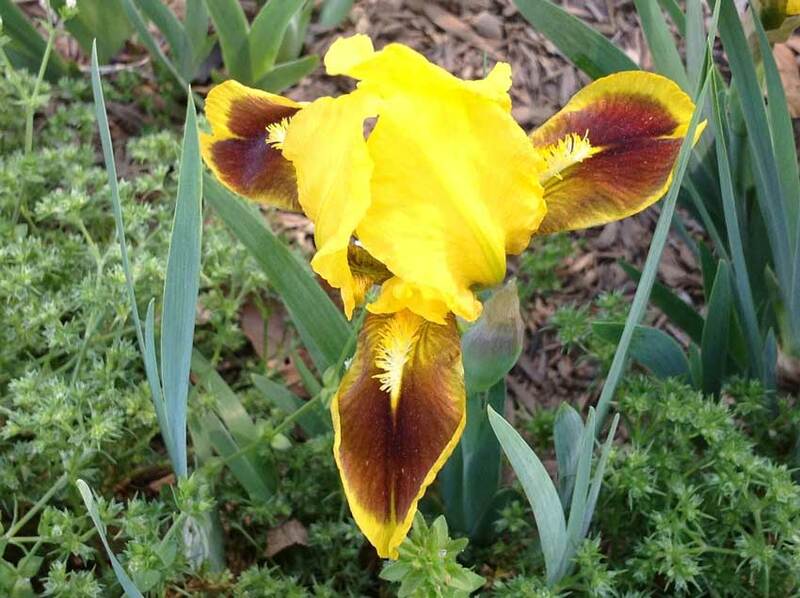 Standards bright full yellow (RHS 12A); falls deep red brown (172A), edged full yellow; yellow beard. Seedling #72-25-5: ( 'Mystic Midnight' x 'Banbury Ruffles') X 'Inca Idol'. Willott 1981. From AIS Bulletin #240 January 1981 Introducing INCA OFFERING (78-127) Bright yellow and deep red-brown variegata; 6 in. $7.50. Willott.